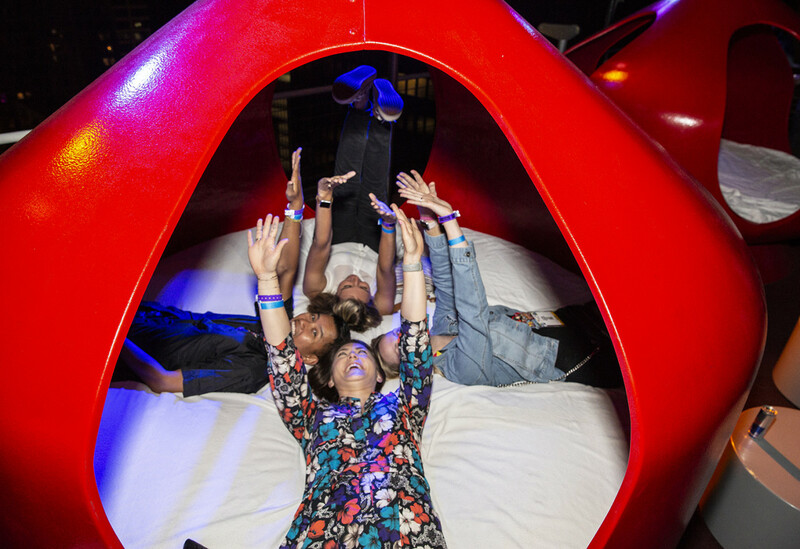 The gaming community is a creative and quirky one, so brands aiming to make an impact need to align with that mindset by producing experiences to captivate the distinctly imaginative demographic. 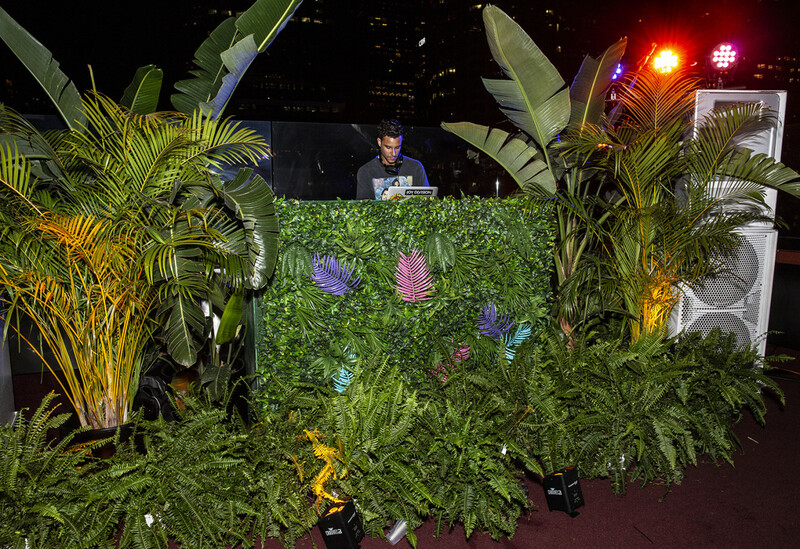 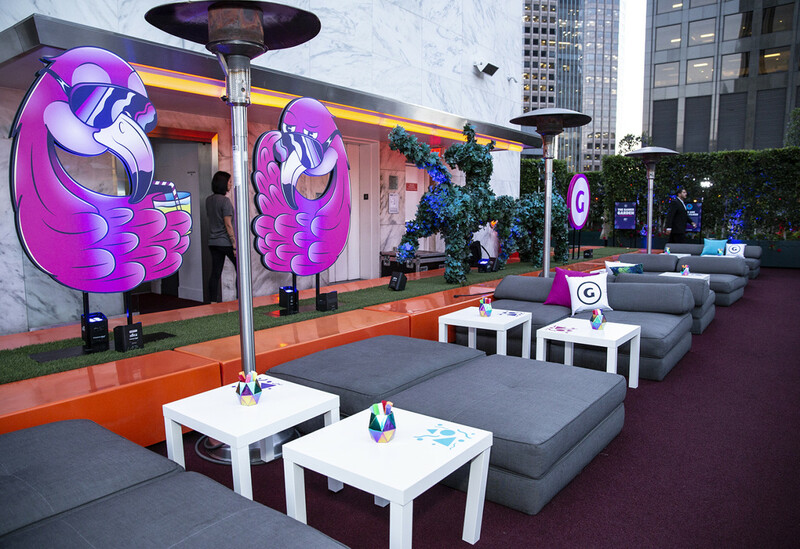 With that point in mind, CBS Interactive (CBSi), the corporation’s online content network for information and entertainment, created a playful, “Miami Vice”-themed rooftop event at E3 for its gaming website, GameSpot. 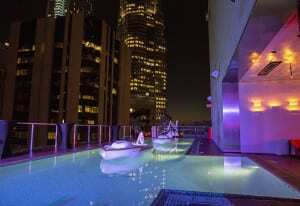 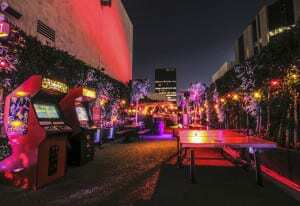 Held June 14 at The Standard hotel in Los Angeles, the experience attracted over 600 journalists, influencers and executives in the gaming community for an evening of gaming, photo ops and celebration. 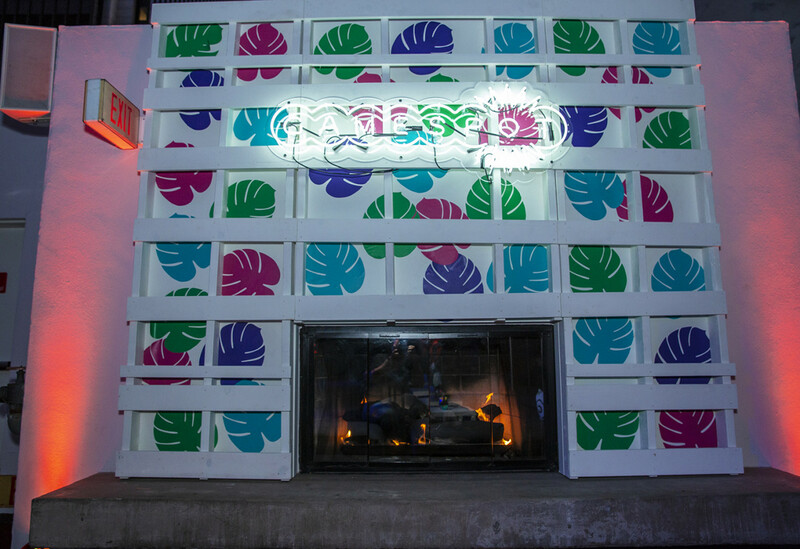 The neon-washed event carried the retro motif from start to finish, with design elements including funky, oversized flamingo cut-outs, tropical greenery covering the dj booth, a 60-inch custom neon logo and wood grid installation, and smaller “Miami Vice”-esque décor elements woven throughout the space. 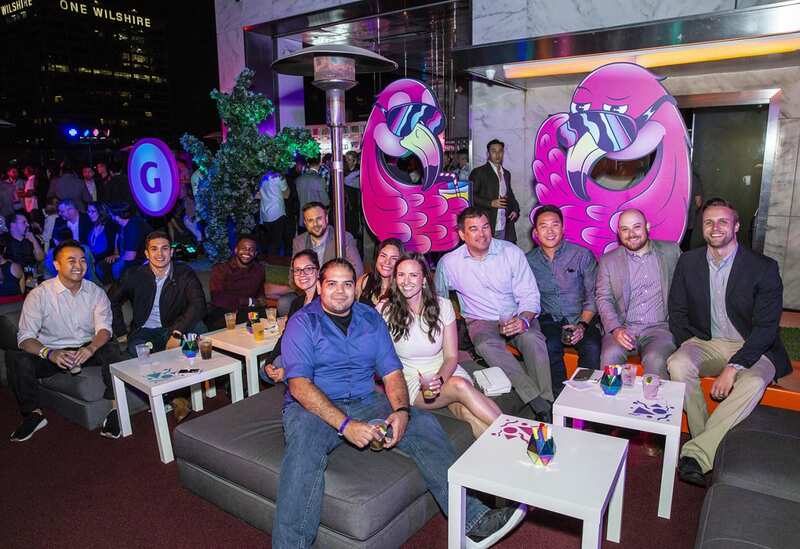 “The industry is fun, it’s young, it’s rogue—why not think over-the-top,” says Ashley Mansfield, svp-brand, experience & partnerships at CBSi. 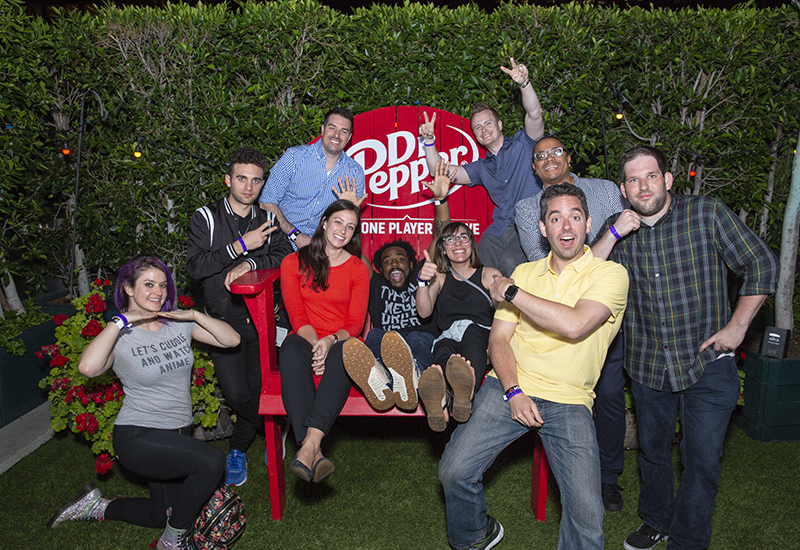 Event partner Dr Pepper’s larger-than-life Adirondack chair served as a popular photo moment. 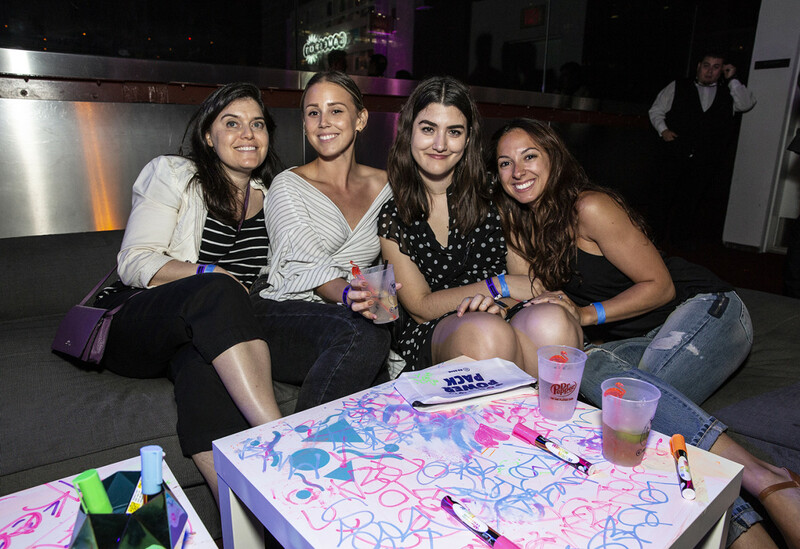 The lighthearted event featured black-lit tables that attendees could draw on directly with neon markers, a “Miami Vice”-themed GIF experience that included a physical printout and the option to share the image on social media, and lounge areas featuring GameSpot-branded pillows. 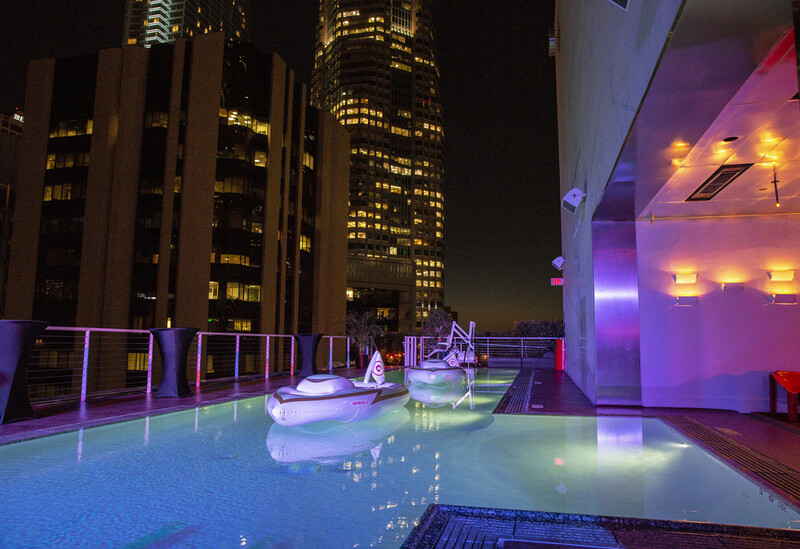 CBSi also leveraged the venue’s rooftop pool to cleverly float two inflatable yachts dubbed “Unsinkable 2” and “Unsinkable 3,” with “Unsinkable 1” presumably having failed to live up to its namesake (nice). 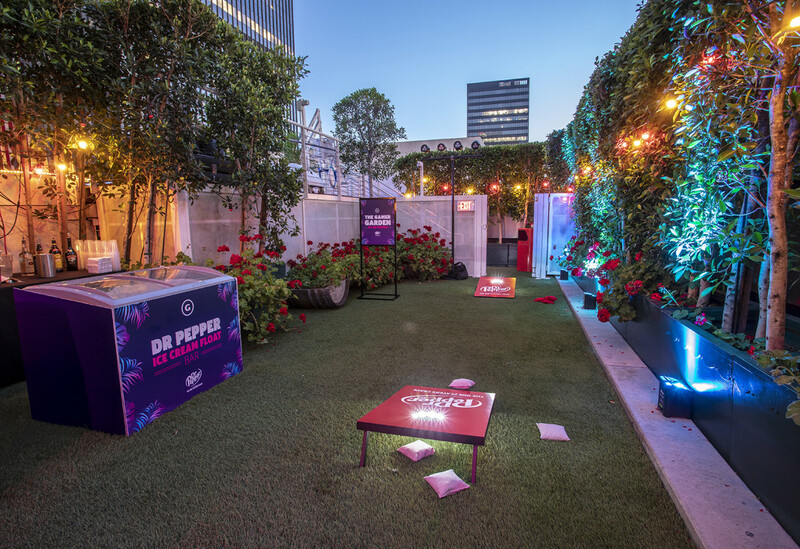 Attendees could also participate in engagements provided by event sponsor Dr Pepper. 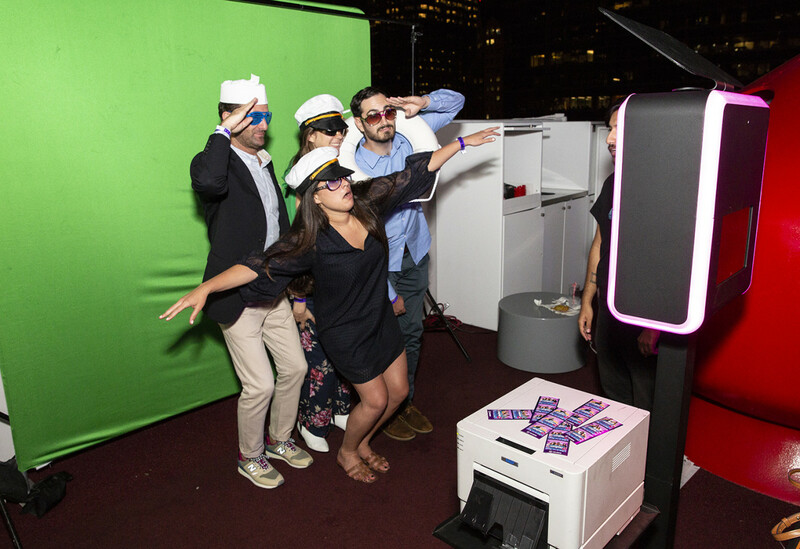 The beverage brand offered playable old-school arcade machines, Ping-Pong, lawn games, an ice cream float bar and a larger-than-life branded Adirondack chair that served as a popular photo moment (we’re told getting onto and off of the chair was an experience all of its own). 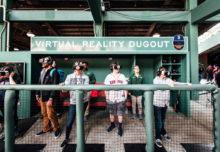 “Gaming is not this niche market anymore, so it’s been really critical that we position GameSpot as a leading industry expert and let people know that we’re the go-to source for all things gaming, and we’re gamers ourselves,” says Mansfield. 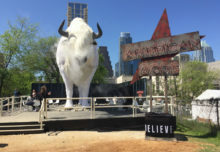 “So events are an opportunity to create authentic, immersive experiences that are always true to brand.” Agency: The Visionary Group, Los Angeles.